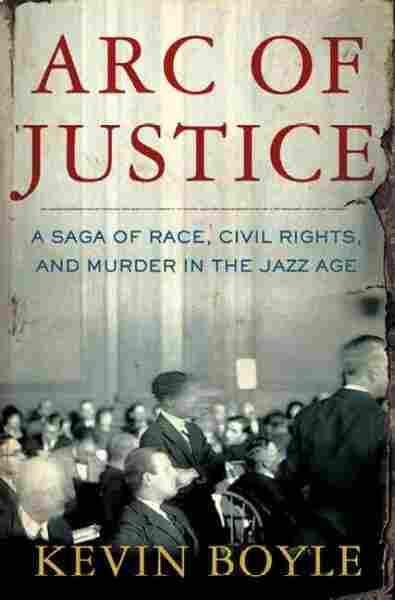 'Arc of Justice': An American Tale of Racial Hatred Kevin Boyle's Arc of Justice tells the true story of a black physician's fight to keep his family home in the face of violent threats from white neighbors in 1920s Detroit. Boyle won a National Book Award. Kevin Boyle recently won the National Book Award for his nonfiction account of a black physician's struggle in 1920s Detroit to hold on to his hard-won family home in the face of violent threats from his white racist neighbors. Ossian Sweet, the grandson of a slave, would later be indicted for murder, and both he and his wife were thrown into prison. Famed defense attorney Clarence Darrow fought for Sweet's release in a landmark trial that helped to ignite the national civil rights movement. Boyle tells NPR's Tavis Smiley he believes the relatively unknown story he relates helped set the tone for civil rights victories to come, and also heralded the rise of the National Association for the Advancement of Colored People as a national force for racial justice. Boyle is also a professor of 20th-century history at Ohio State University.